It was in the change room before swimming that I first encountered the two bathing suit thing. Why, I asked the woman as she was putting one suit on over the other. The chlorine wrecks them, she said. It makes them thin and see through. When you swim a lot in pools it just happens. They’re expensive these bathing suits so when they get thin I start doubling them up. It happens in cycling too. I had one of my favorite shorts get a bit thin through the back and so I started to wear them with a second pair on top. I also lost some fabric on another pair after I skidded across the wooden tracks of the velodrome. Perfect! I could wear them together. These days I tend to demote my thinning shorts to the pile of bike shorts I wear under dresses and skirts. It’s room cleaning day here at my house as I put some of my summer things away, sun dresses, shorts, halter tops etc., once again I’m wondering, when it comes to athletic gear, what to keep as second and third string possibilities, and what to just throw away. True confession: I counted and I’ve got 31 cycling jerseys. I don’t wear the sleeveless ones these days. Lots of them are from special events. Also, team/club kit from places I’ve lived and groups I’ve ridden with. I’m sentimentally attached! Only this year did I actually throw away my first ever pair of cycling socks. 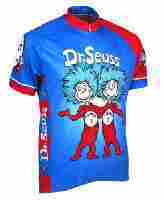 But still I see fun cycling jerseys and think I’d love to own that. 31 is enough. Time to go sort and clean and organize on this rainy Sunday. Next Post Happy National Forest Week! Sea salt does, but at a much slower pace. Rinsing after swimming is the way to go, whether in the ocean or a pool. Thanks for that tip! Too late for my current faded batch of swimwear but will be used for the next lot! The Goodwill will take bike jerseys…don’t know about the shorts. 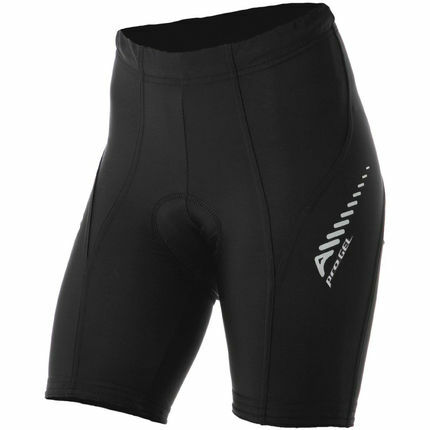 Roadies tend to be sensitive to bike short transparency… randonneurs, not so much. Mostly because roadies get more editorial comment from fellow riders than randonneurs, I think. Road cycling is mainly a group activity. Randonneuring , otoh, is oft described as a ride together alone. 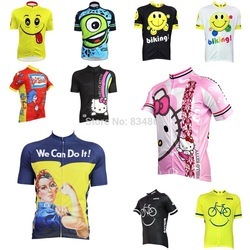 I love the Hello Kitty jersey, and it just goes to show that Kitty is indeed a girl and not a cat. I think I have around 20 cycling jerseys ..of which only 3 are long sleeved. I personally find cycling jerseys fairly long lasting in terms of their construction and materials. Some jerseys are…20 yrs. old and I wear such jerseys several times per month. Like my bikes, jerseys are split and stored in 2 different CAnadian provinces… works for me and minimizes my packing when I travel.